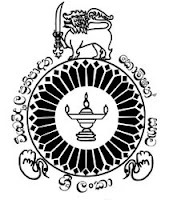 The University Grants Commission (UGC) is the apex body of the University System in Sri Lanka.The functions of the UGC are; planning and coordination of university education, allocation of funds to Higher Educational Institutions (HEIs), maintenance of academic standards, regulation of the administration of HEIs and regulation of admission of students to HEIs. i did my 3rd shy A/L in 2012 in matale distric. but i did my 1st and 2nd shy in kegalle distric. so my distric for university selection is kegalle . but in my result sheet they have given rank for matale distric . but i have to know my real distric rank for kegalle distric please some one help me how can i get it? ane mata kiyanna puluwanda, first shy ekedi Genral knowledge paper ekata 55k lakunu gaththa nam, 2nd shy karaddith aniwaryenma Genaral Knowledge paper eka karannama one da? 2nd shy Genaral Knowledge paper eka karanna bari uana nam,1st shy eke result eken university yanna barida?